10 percent diet is based on the following rule: all popular diets which take over 10% of the total weight over a short period of time are not recommended at all and nor are they healthy. 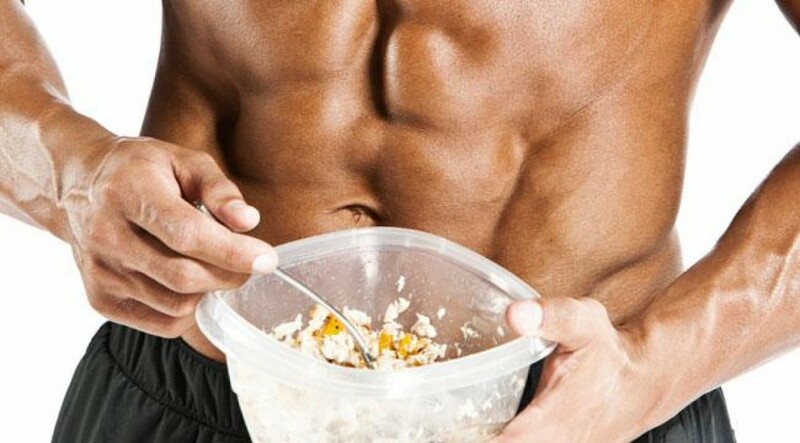 Strict protein, restrictive and aggressive diets are accompanied by great stress and often after you stop dieting the so called jo-jo effect occurs. The weight returns quickly. The percent diet takes this rule as its basic postulate and a starting point that has been accepted by both dieticians and nutritionists. What has seemed to us as very interesting and proves that a 10 percent diet is not just another in a series of successful or less successful weight loss methods that you can apply. Whether it's Atkinson's Diet, Medical Diet, Dukan's Diet - the rule is completely applicable. Deviating from the plan is not good and the best indicator of that is our body. Overeating si recognized by our body as a need for a much larger mass for which it needs a greater amount of food. Starvation on the other hand creates a great shock because the body reacts in such a way that it creates food supplies. In order to avoid both situations, 10 percent diet was created. As its goal, it has: healthy diet, lower daily intake of food, while weight loss is a reflection of the change in our lifestyle, and not the current success that the scale shows. Eat at the table, not in front of the TV, computer, etc. Chew for a longer time, take some small bites and never eat in a hurry. The latest research shows that you eat 43% less food if you do it in peace, without TV. This way we give the time for the stomach to send the message to the brain that it is full. Smell can also make us feel full. People who spend time in the kitchen cooking and preparing meals for the householders, are often not so hungry when eating is almost over. This diet may not seem ideal to you because you would want to reduce a lot of kilograms but this is the only healthy and, long-lasting process and concept for losing excess weight. Feeling that you have a lot of energy, a healthy and peaceful sleep will only be some of the indicators of the success of this method. Often we underestimated the importance of a good sleep, It has a great effect on weight loss. Fatigue often compensated in the form of energy from food. 10 Percent diet: HOW DO I KNOW THE AMOUNT ALLOWED TO EAT? Count it like this: for each kg you have you are allowed 25 calories per day. So it turns out that a 70 kg person needs to have 1750 calories. Rigorous high-protein diet require you to enter less than 1200-1000 calories per day, which is nothing less than starvation we have been writing that it is not good for health. The 10% diet is much slower, but this weight loss is healthier and better. Our advice is as follows: do not burden yourself with weighing, measure only after a month, when you managed to take off 10% of the total weight, increase the intake from 25 to 30 calories per day! Practice daily, do not neglect physical activity. 30 minutes of activity daily does not need to burden you, but to become your healthy habit. What 10 percent diet recommends is keeping an online journal or active engagement in social networks. National Institute of Health found that people who lead such a log managed to reduce up to 7 kg. We also recommend our Facebook page or blog as a place where you can go and connect to a larger community and share your experiences. Monday: vegetables of your choice without any limitations in quantity. Prepare them as you like: raw, boiled, and chopped, in salads and others. Potato salad, beans, olive oil..
Sunday: Meat day, eat all kinds of meat, fish is also allowed, without deep frying it. Sunday: day for meat with vegetables, without rice, potatoes and legumes. This diet plan is identical to the first week, so we will not repeat it. After this nutrition plan you will lose 10 percent of your starting weight. You need to drink more fluids especially water, and you can have tea and coffee, but without sugar during the dieting period.